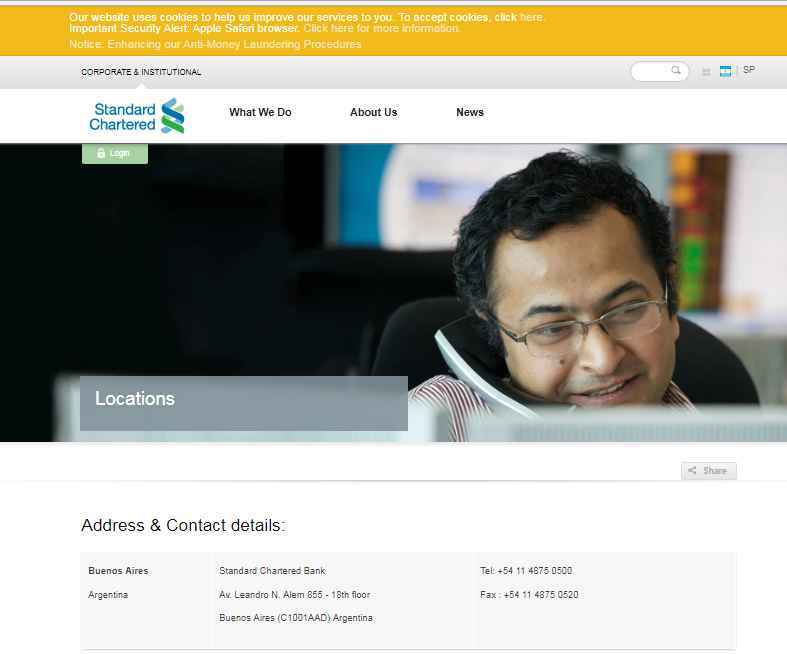 Can you provide me the contact address and contact number of Standard Chartered Bank located in Argentina as I want to visit it? Standard Chartered in Argentina opened its Representative Office in Buenos Aires in 1996. It is focused on the Corporate & Institutional Bank business and offers an extension of the full product suite of Standard Chartered Bank's network.